The day twelve-year-old Clara finds a desperate note in a purse in Bellman's department store, she is still reeling from the death of her adopted sister, Lola. Clara grows more and more convinced that she was meant to find Yuming's note. Lola would have wanted her to do something about it. But how can Clara talk her parents, who are also in mourning, into going on a trip to China? Finally the time comes when Yuming weighs the options, measures the risk, and attempts a daring escape. The lives of two girls--one American, and one Chinese--intersect like two soaring kites in this story about loss, hope, and recovery. 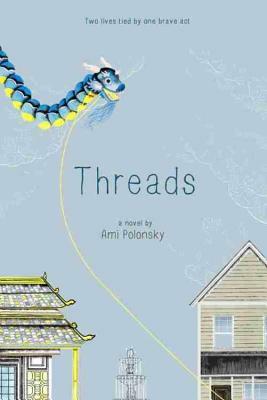 Ami Polonsky (www.amipolonsky.com) is a reading and writing tutor, mother to two young children, and author, among other things. A former Language Arts teacher and literacy coach, she remains passionate about guiding children toward a love of books and helping create lifetime readers. Ami lives outside of Chicago with her family.